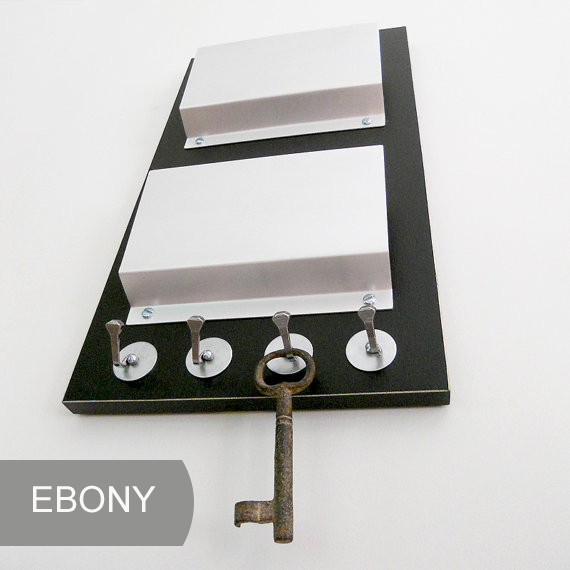 Our best selling mail holder offers a stylish solution to organizing your mail and your keys. Say goodbye to mail lurking in dark corners and keys that play hide and go seek - our wall mount double slot mail holder gives both items an artful and colorful place to call home! Customize the background color with one of our 19 color options. 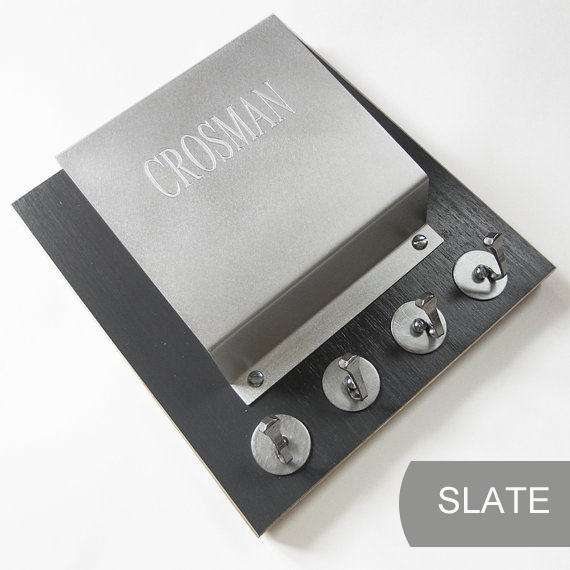 Our ever popular single slot mail holder just had twins! Now you can organize your mail in 2 handy aluminum pockets - one for incoming + outgoing mail OR maybe it will be one for you + one for your mate! And don't you hate it when you can't find your keys - they're not in your pocket, are they? We love helping our customers get organized - that's why we've added 4 specially designed hooks below for those all too often misplaced keys. 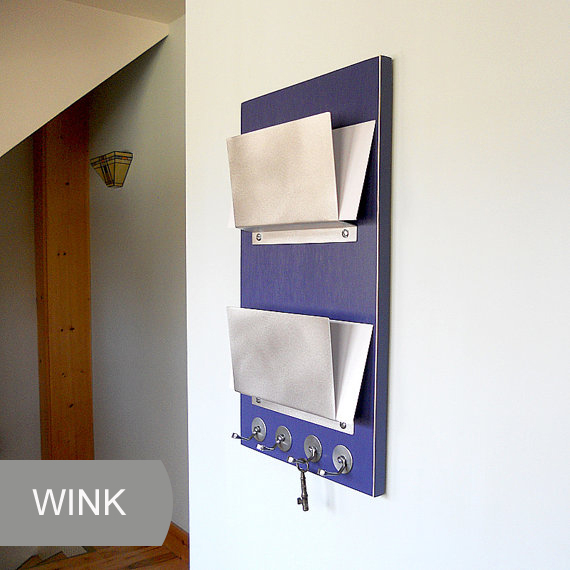 Our functional art wall organizer in the color WINK is the perfect addition to your home or office! Use our color chart below to select a BACKGROUND color. When you add the listing to your cart, a form will appear where you can enter your color of choice OR order the listing as is in the color WINK. 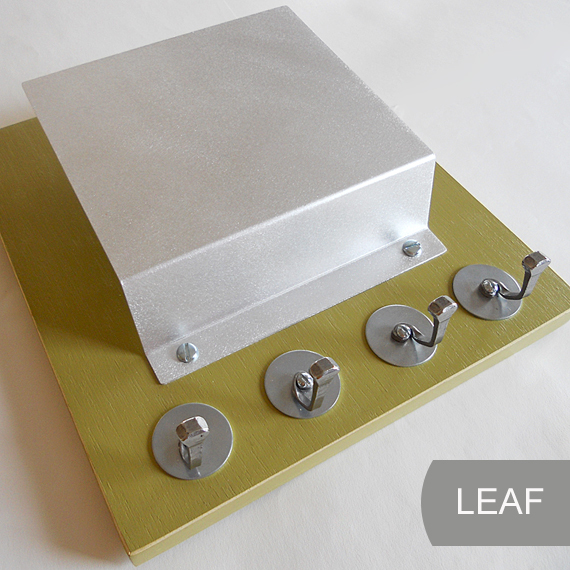 We mix our own colors and offer our mail holders in 19 different color options. The images below show our mail holders in 16 of our 19 color options. Each image is labeled with the name of the color. Which color matches your decor? Have a question? Please contact us - we are always here to help!